How fascinating it was to tour the Ford Piquette Plant in Detroit, Michigan, with the Wills Sainte Claire Reunion guests. Walking down the hallways and experiencing "history" of so many years ago and being there today in 2015, was a mind blower. Most everything is the same as it was back then. 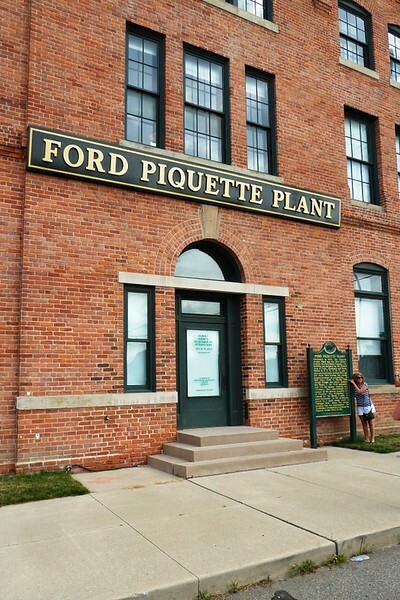 We learned that when you see the Ford emblem on a car and it has longated wings thru the name, it was made in this Piquette Plant. We learned that C. Harold Wills, our Grandfather, shared 1/2 of his paycheck with Henry Ford to put food on his table because as a shareholder, Ford did not get paid. What an incredible experience!!!!! And, lunch was delicious too. Thank you.